I know this one is a little bias because my father is featured in it but I feel like the photog did a great job of showing truthfully, for once, what tree service companies actually do and how we help out trees. 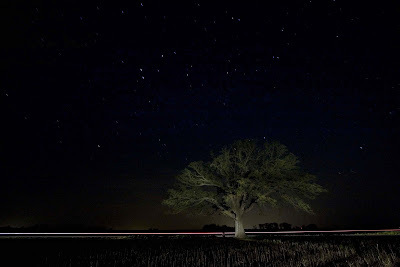 The giant bur oak located near McBaine, Mo stands stately in the night. The tree is estimated to be over 350 years old and is possibly the largest bur oak in the nation. A sandwich is pulled out of the toaster by Amy, a worker at Which Wich sandwich shop. Which Wich recently opened on Ninth Street near the northern part of campus near Starbucks and Chipotle.